Six times winners of the World Series and the team of the first African-American major league baseball player, Jackie Robinson , the Los Angeles Dodgers play in the West Division of the National League. The team which is based in Los Angeles, California, is also known by other names like ‘Bankrupt’, ‘The Robins’, ‘Blues’ and ‘Dem Bums’. In addition to winning the World Series, the team has also won its division titles on eleven different occasions. The major league baseball franchise is owned by Frank McCourt and managed by Don Mattingly , with Ned Colletti as the team’s general manager. The Dodgers were founded in 1883 in Brooklyn, New York. They have been part of the National League since 1890. Los Angeles Dodgers, which moved to the city in 1958, have been in the West Division since 1969. They have been playing their home games at the Dodger Stadium since 1962. The ballpark which is also known as Chavez Ravine can accommodate at least 56,000 and up to 57,099 spectators. This makes it the largest baseball stadium in terms of seating capacity and the third oldest ballpark in the United States. The Los Angeles Dodgers wear white and Dodger blue. Their uniform has remained almost the same for the last 70 years. A Dodgers player has been wearing the present uniform with minor changes. The jersey worn during a home game is white in color with Dodgers written across the chest in blue. While on the road, the Dodgers wear gray jersey with Los Angeles written across the chest in blue color. The team has had a long-standing rivalry with the ‘San Francisco Giants’. It is also known to be the longest rivalry in the history of major league baseball. Interestingly, this started when both teams were based in New York City and moved to California in 1958 together. Another interesting fact about the two is that when they were based in NYC, the Giants had won five World Series championships, but the Dodgers had won only one. Ever since 1958, the opposite has been true. Furthermore, they are also tied at 21 for the most National League pennants. Los Angeles Dodgers have a never ending list of Hall of Fame baseball players, who made not only their team proud but did great things for the game overall. In addition to Jackie Robinson, the team boasts of Hoyt Wilhelm, Don Sutton, Frank Robinson, Walter O’Malley, Eddie Murray, Juan Marichal, Tommy Lasorda, Sandy Koufax, Rickey Henderson, Don Drysdale, Gary Carter, Jim Bunning and Walter Alston , as their best players. The Los Angeles Dodgers whose franchise history has been full of praiseworthy statistics, made a world record in 2008 when it boasted of largest attendance (115,300). Your participation in their present season games can help them beat this record and make a new one. So do not wait any longer and buy your Los Angeles Dodgers Tickets now! Q:How much time will it take to deliver los angeles dodgers tickets to me? A:Los angeles dodgers Tickets will be delivered to you within the specified time. Q:I want cheap los angeles dodgers tickets, do you provide them? A:Yes, we do provide los angeles dodgers Tickets at discounted rates. Do check out. Q:My family and I need three los angeles dodgers tickets. Please guide me. 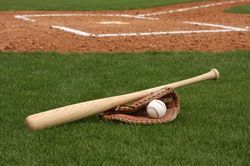 A:Los Angeles Dodgers Tickets are available on our site at very affordable rates. Enjoy the show! Q:Where can i get the seat numbers for my Los Angeles Angels Dodgers Tickets? A:You cannot have the seat numbers for Los Angeles Dodgers Tickets as that information is not allowed us to have by the ticket brokers.